Gibson Home Wilmington Plus is a 55PC flatware set that is perfect for entertaining or for everyday use. It is both stylish and practical - a full array of pieces for nearly every purpose. - semi-polish finish - dishwasher safe - do not put in microwave - traditinal styling This item cannot be shipped to APO/FPO addresses. Please accept our apologies. 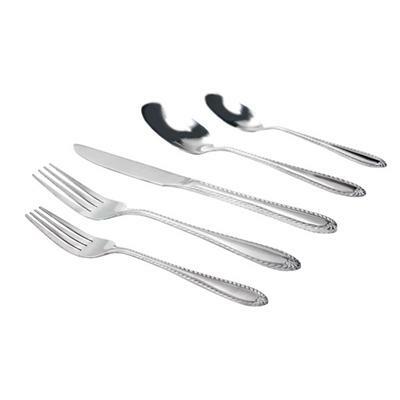 The Gibson Home Hammered 46 piece flatware set provides a contemporary setting to any table. 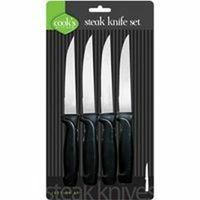 The set includes eight of: dinner knife dinner fork dinner spoon teaspoon and salad fork. One each of: serving spoon slotted serving spoon butter knife and sugar shell plus a wire caddy. - service for eight - stainless steel construction - contemorary hammered finish - dishwasher safe - do not put in microwave This item cannot be shipped to APO/FPO addresses. Please accept our apologies. The Gibson Home South Bay 65 piece flatware set provides everything you need for dining and serving. 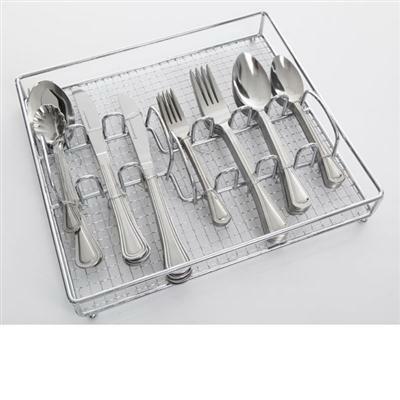 The set includes twelve each of: dinner knife dinner fork dinner spoon salad fork and teaspoon; one each of: serving fork serving spoon butter knife sugar shell and wire caddy. - tradiitonal styling - tumble finish - service for twelve - dishwasher safe - do not put in microwave This item cannot be shipped to APO/FPO addresses. Please accept our apologies. Get the convenience of plastic cutlery, but without the inconvenience caused by flimsy, lightweight products. 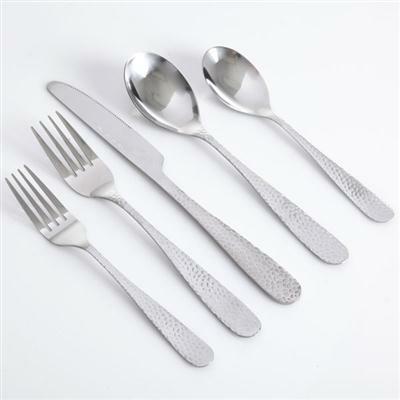 These utensils feature a mediumweight design--combining durability and strength. 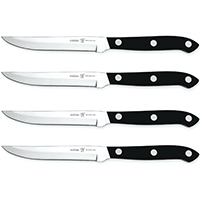 Utensils Type: Knife; Material(s): Polypropylene; Color(s): White; Grade: Mediumweight. 4 Ceramic olive picks in each set. No need to stock forks, spoons, napkins, and straws, as this cutlery kit provides an all-in-one option specifically designed to meet the needs of every level of school. Whether an elementary or high school, this kit is versatile enough to handle the year-round cuisines of your cafeteria. 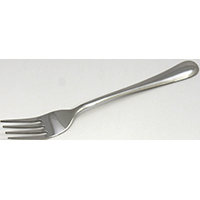 Utensils Type: Napkin; Spork; Straw; Material(s): Polypropylene; Color(s): White; Grade: Mediumweight. The Ka-Bar Chopsticks come with two sets of chopsticks per package. 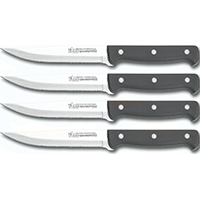 The handles are constructed from durable FWA Grilamid and measure 9.5 inches long. 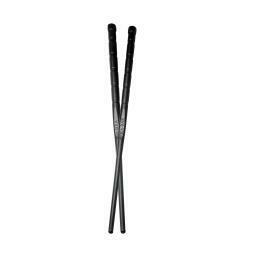 These chopsticks provide a thickness of 0.393 inches per chopstick and are proudly manufactured in the USA. Take your next meal outdoors with these multi-colored sporks. This spoon-fork-knife combo is perfect for all your outdoor eating. With a spoon on one end and a fork and knife on the other, these sporks are stackable, making them easy to store in a backpack or lunch box and use over and over. Made from BPA and BPS free tritan, these lightweight and durable utensils are safe from dangerous chemicals, and can withstand high heat and hundreds of dishwasher cycles. Measuring 7 inches long, these compact, stackable sporks are perfect children and adult use for picnics, camping, fishing and hiking. They're even great to pack in your lunch for work or school. The best drinks require the best tools. 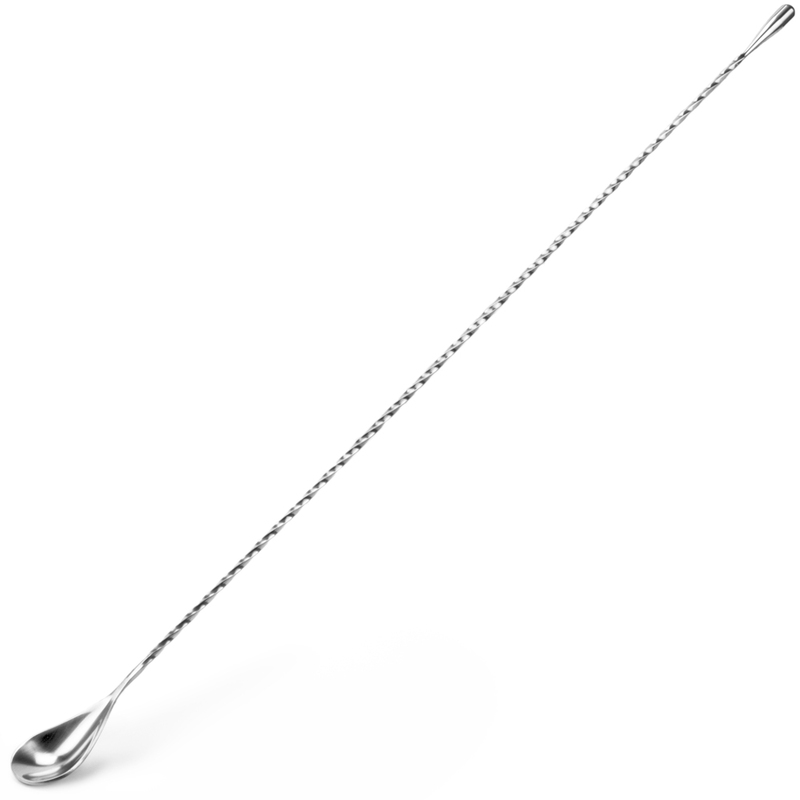 That's where our mixing spoon comes in. The long neck design is created to reach the bottom of every glass, even the tall ones, for an even blend and outstanding taste. It's stainless steel design has a twisted neck and teardrop end to give you a better grip and extra control while mixing, so you'll be sure to serve a thoroughly blended drink every time. Use it for blending cocktails, teas, infusions, fruits, spices, and herbs. 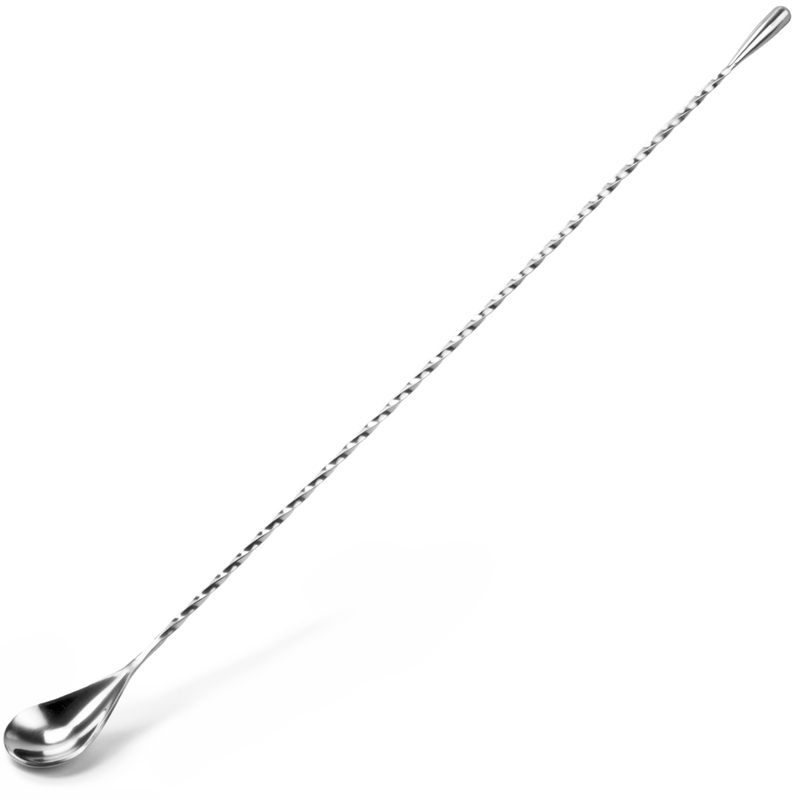 This spoon is available in three different neck sizes so you can pick the one that's perfect for your glass. 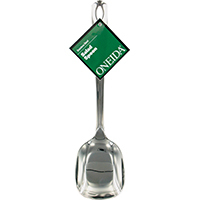 We recommend the 12" spoon for standard glasses, 15.5" for tall glasses, and the 19.5" for pitchers. 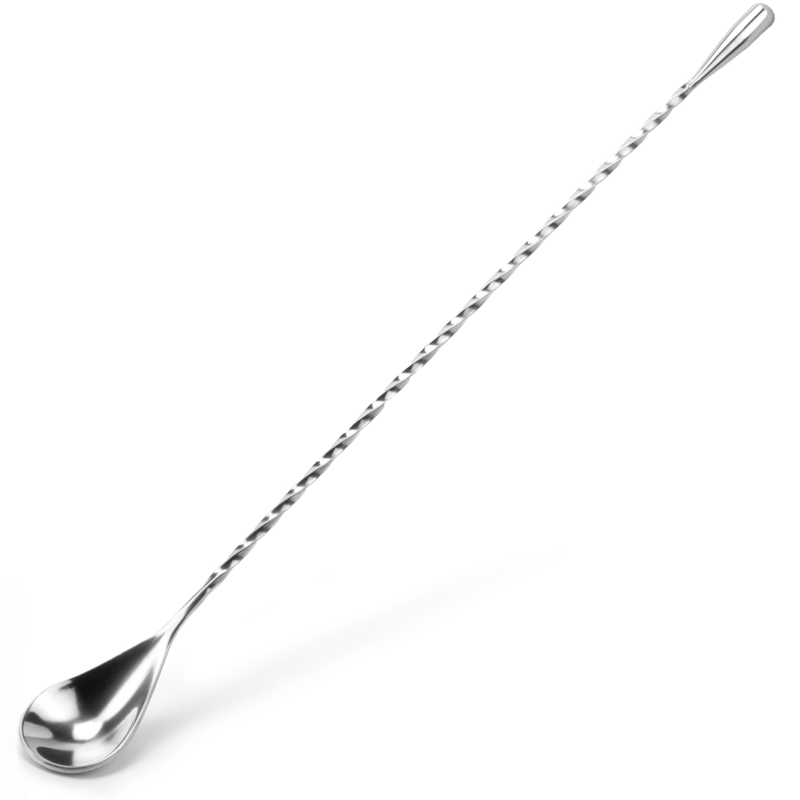 Whether you're in the kitchen or serving at a bar, this mixing spoon will make you feel like a professional with every stir. It's not only great for cocktails and teas, but also for blending homemade milkshakes, juices, and even your own dressings and sauces. You'll feel like a professional every time. Why stock four items when you can have all of them in one convenient package? 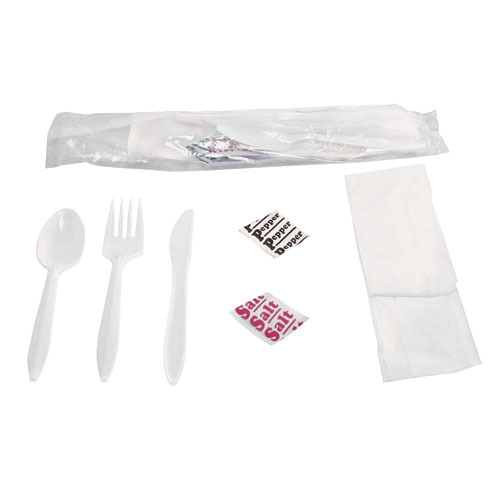 This kit contains a fork, spoon, knife, and napkin, allowing you to cover all of your bases with a single, high-quality item. 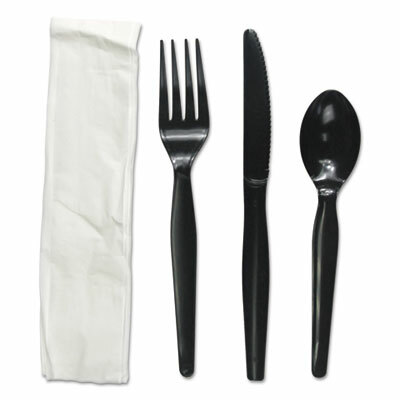 Utensils Type: Fork; Knife; Napkin; Teaspoon; Material(s): Polystyrene; Color(s): Black; Grade: Heavyweight. 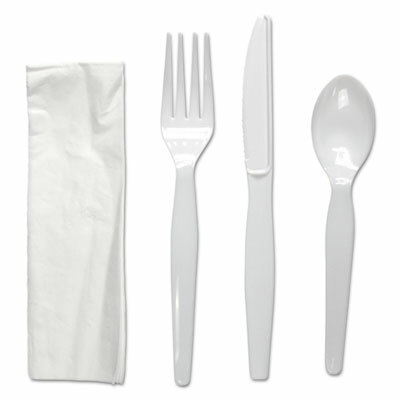 Our heavyweight polystyrene cutlery is a perfect match for high-end takeout or catering. Utensils are individually wrapped for more sanitary dining, and with multiple color options, these are a great fit for a wide variety of occasions and cuisines. 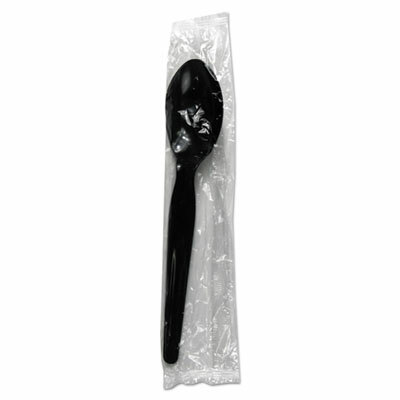 Utensils Type: Teaspoon; Material(s): Polystyrene; Color(s): Black; Grade: Heavyweight. 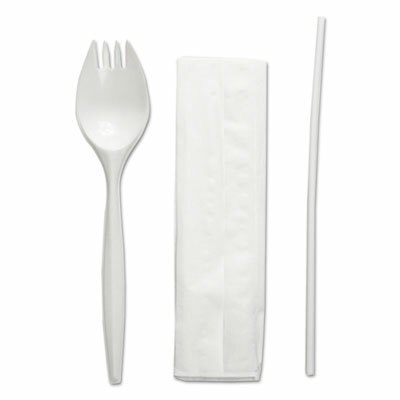 Our heavyweight polystyrene cutlery is a perfect match for high-end takeout or catering. Utensils are individually wrapped for more sanitary dining, and with multiple color options, these are a great fit for a wide variety of occasions and cuisines. 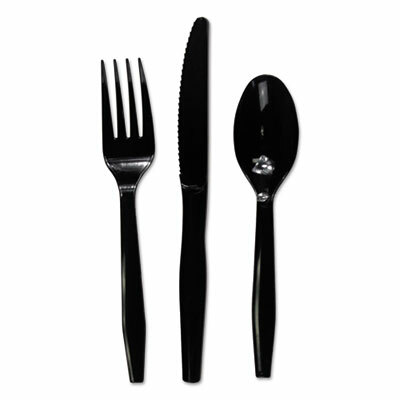 Utensils Type: Fork; Material(s): Polystyrene; Color(s): Black; Grade: Heavyweight. 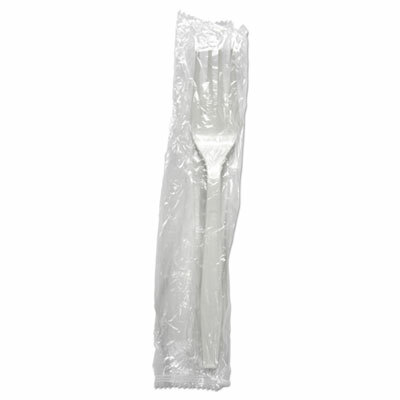 Great for virtually any dining environment, this mediumweight, wrapped cutlery provides a convenient yet sanitary option for hungry customers. The high-quality utensils have the versatility to be used with nearly any cuisine, making them an ideal fit for takeout, concession stands, and cafeterias. 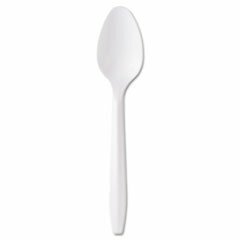 Utensils Type: Soup Spoon; Material(s): Polystyrene; Color(s): White; Grade: Mediumweight. Serve any meal with this cutlery kit. 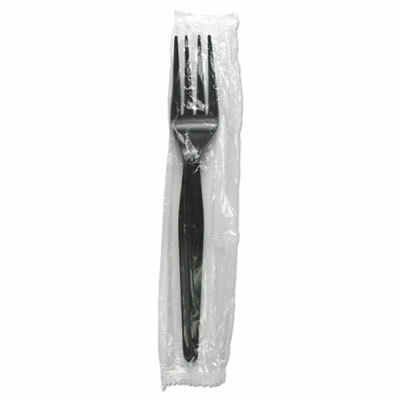 Each pre-packaged wrapping contains a medium weight plastic fork, spoon and knife. 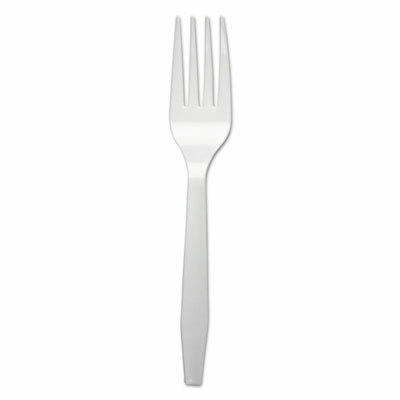 Utensils Type: Fork; Knife; Teaspoon; Material(s): Polystyrene; Color(s): Black; Grade: Mediumweight. 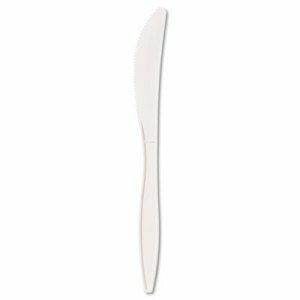 This polystyrene cutlery provides a sturdy, rigid utensil, ideal for barbecues, birthday parties, and other culinary gatherings. 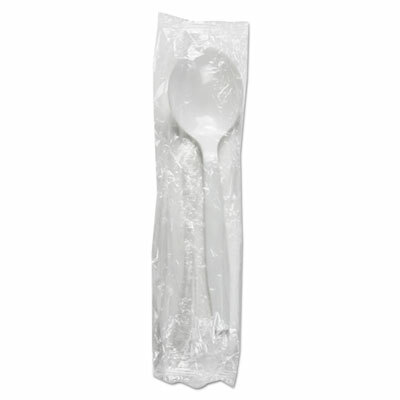 Get the convenience of plastic cutlery, without the inconvenience of flimsy, lightweight products. 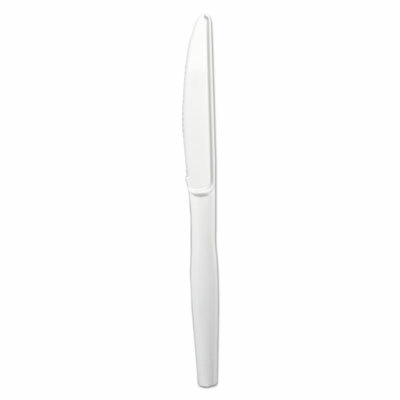 Utensils Type: Knife; Material(s): Polystyrene; Color(s): White; Grade: Mediumweight.